SYRACUSE, N.Y., Dec. 5, 2018 /PRNewswire/ -- The Marine Corps Systems Command, Quantico, Virginia has awarded SRC, Inc. a 5-year indefinite delivery, indefinite quantity (IDIQ) contract with a ceiling of $93M. This contract is for the sustainment support and technology refresh of the USMC inventory of AN/TPQ-49 systems and procurement of new AN/TPQ-49A systems. The scope of work being performed includes system refresh kit installation, new system production, live fire testing, program management, initial/sustainment spares provisioning, new equipment training, technical manual production, and field service representative support. The AN/TPQ-49 radar system is a current U.S. Marine Corps program of record and has proven to be effective at providing early warning and location of the rocket and mortar threats facing troops. 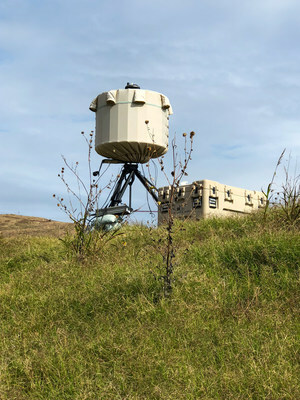 The counterfire radar provides continuous 360-degree surveillance and 3-D rocket, artillery and mortar (RAM) location using a non-rotating, electronically steered antenna. "We are excited to continue supporting the U.S. Marine Corps with our proven solutions," said Paul Tremont, president and CEO of SRC. "The AN/TPQ-49 radar has been critical in ensuring the safety of our warfighters and we are proud to expand our relationship with the Marine Corps through this contract." "This funding will ensure SRC can continue to produce modern systems to keep the men and women of our military safe, while providing good-paying and highly technical jobs here in Central New York," said U.S. Rep. John Katko (NY- 24). "SRC remains a worldwide leader in producing this innovative technology. This award will ensure the company is able to continue its work and help grow our region's local economy." Because of this new contract award and additional contracts being fulfilled, SRC is looking to fill more than 300 positions over the next year in the disciplines of digital engineering, systems engineering, software engineering, integration/test, field application support and program management. SRC, Inc. (@SRCDefense), a not-for-profit research and development company, combines information, science, technology and ingenuity to solve "impossible" problems in the areas of defense, environment and intelligence. Across our family of companies, we apply bright minds, fresh thinking and relentless determination to deliver innovative products and services that are redefining possible® for the challenges faced by America and its allies.